This is a short special edition of the newsletter. 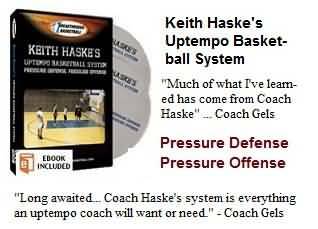 I just wanted to announce my mentor Coach Keith Haske's new 2-DVD set titled "Uptempo Basketball System - Pressure Defense/Pressure Offense", and give you a discount coupon that is valid until 11:59pm on Friday (Feb 28th). Keith is my friend and my basketball mentor. I was his assistant coach for many years when we made a number of state championship runs. This 2-DVD set is great! 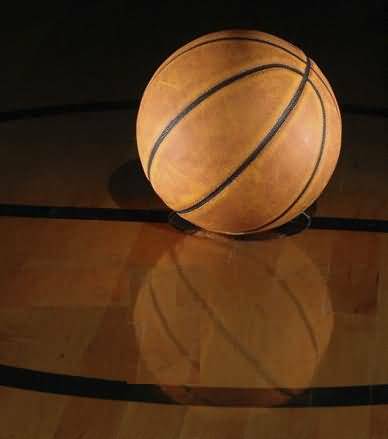 It lays out Keith's system of pressure, pressing defense and attacking pressure, fast-breaking offense. As you can tell, I'm really excited about this new DVD set. It's has everything an "uptempo" coach will need. Click the image to see the table of contents. From my own personal experience over the years, this is really a fun, competitive way to play basketball, and the kids love it. Get an introductory 30% discount if you purchase before this Friday night (Feb 28)!